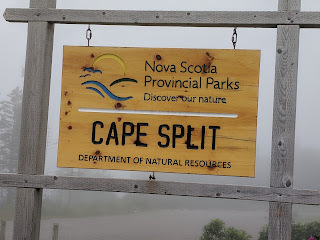 Cape Split is a narrow little jutting peninsula of land which is part of the larger Cape Blomidon. Together they jut out into the Bay of Fundy between Nova Scotia and New Brunswick, and divide the Bay of Fundy from the Minas Basin. It is often said that the Bay of Fundy has the highest tides in the world - though I believe more correctly the Minas Basin does. The numbers you find online are that the tidal range in this area is about 16 meters or about 53 feet. When you experience this with your own eyes it is really quite spectacular! The hike to Cape Split gives you a perfect opportunity to experience these tides first hand. It is a relatively easy hike if you stick to the main trail, and one that 5 and 6 year olds regularly accomplish with their families. 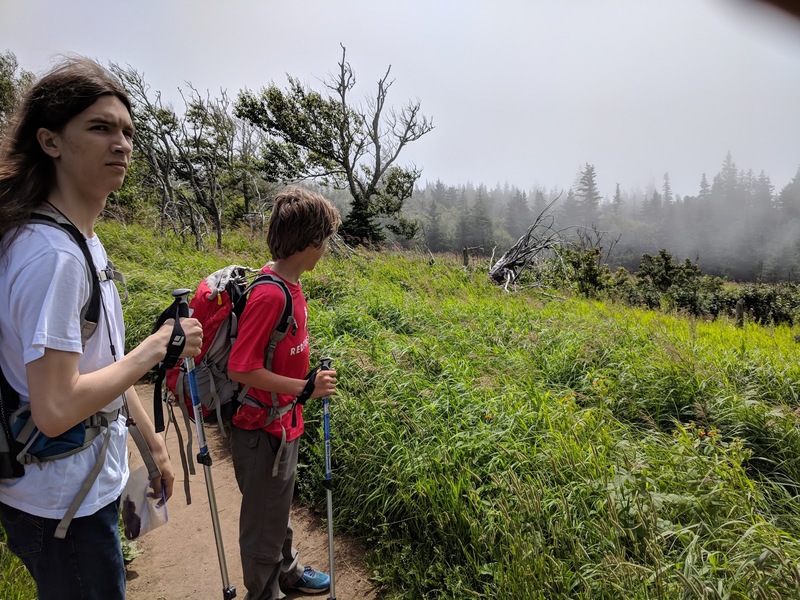 If you hike at a fast pace you can make it to the split in just over an hour, but more realistically most people probably want to allot 4 to 5 hours for the return trip. It is about 6.5 km each way if you stay on the main trail. My apologies if I misrepresent this piece since I've never heard it told directly by a member of the local Mi'kmaw First Nation, but Blomidon is supposed to be the home of the Mi'kmaw god Glooscap, and the tall pieces of Cape Split broken off the end of where you hike are referred to in local lore as "Glooscap's fingers". I would love to hear more about this from someone knowledgable. I was first exposed to tides in this area in University - at Acadia University in Wolfville NS a standard part of the "frosh" program for initiating freshmen was to take them out onto the mud flats of the Wolfville Harbour during low tide and have them slide down the 30 and 40 foot natural mud slides. Of course everyone got completely covered head-to-toe in mud, which is why arrangements were always made with the local fire hall to pay a visit there afterwards to get hosed down. 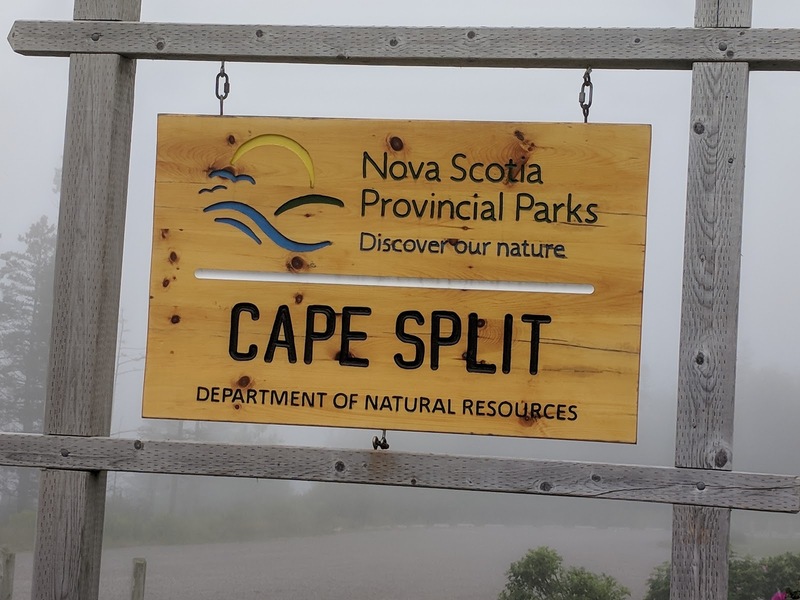 Cape Split was originally private land which from 2002 through 2007 got acquired by the Province of Nova Scotia and turned into a Provincial Park. In 2009 the province released a 20 year management plan with details on where they wanted the park to go.